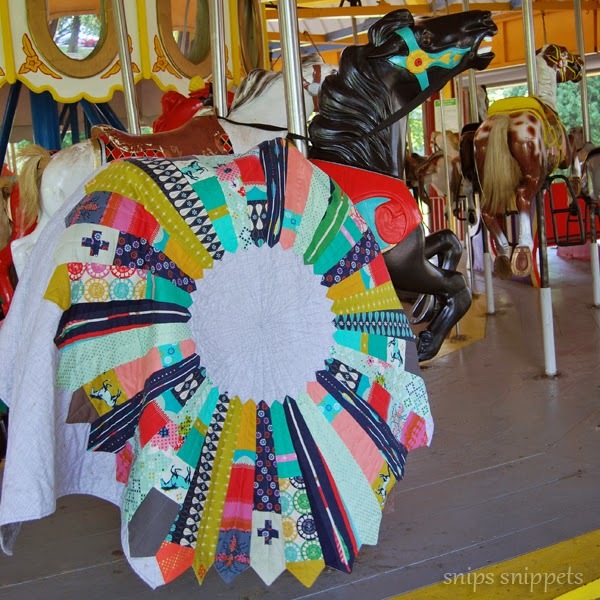 Carrousel is a mixture of bits and pieces from Melody Millers's first line for Cotton and Steel, Mustang. Such a wonderful variety of prints in this line and the colours are to die for! 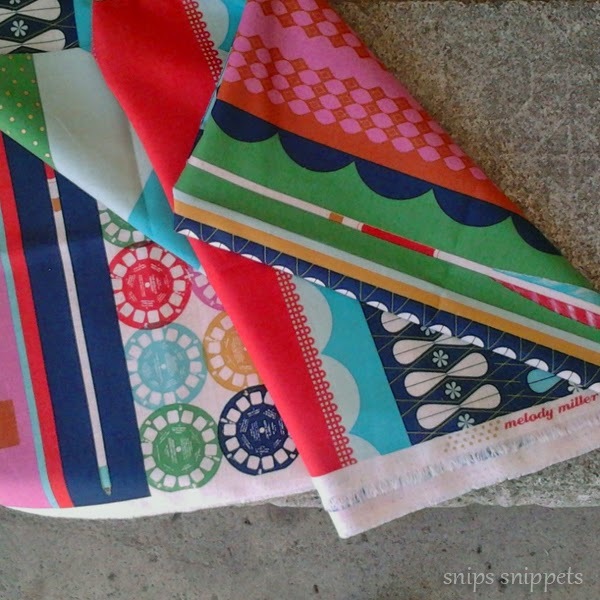 I also used one of my all time faves from her Ruby Star Polka Dot line for Kokka, the patchwork cheater print in blue, love this print so much! And i love how it works beautifully with her new work. I spent a ridiculous amount of time fussy cutting images to feature in the Star Dresden wedges and even went so far as to piece three of them with little plus signs to mimic the little plus signs used in some of the Mustang prints. For the most part all the Dresden wedges were made by strip piecing sections of fabric and then cutting out the wedge shapes. 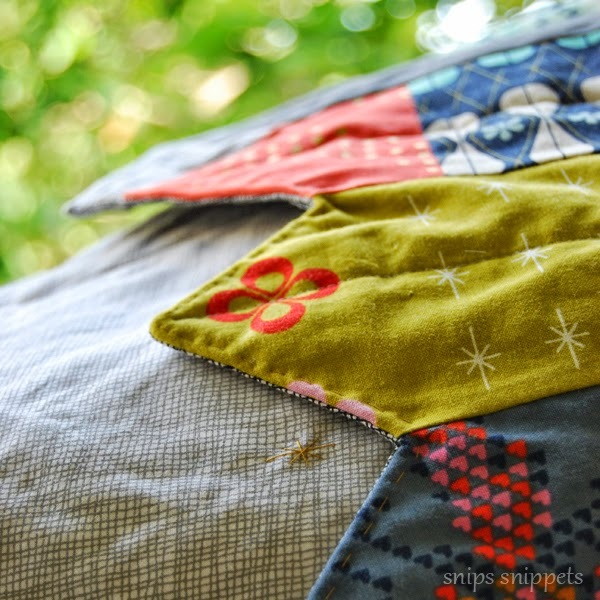 I think most of my time with this project was spent mixing and matching the solids and prints together, the combinations were endless! 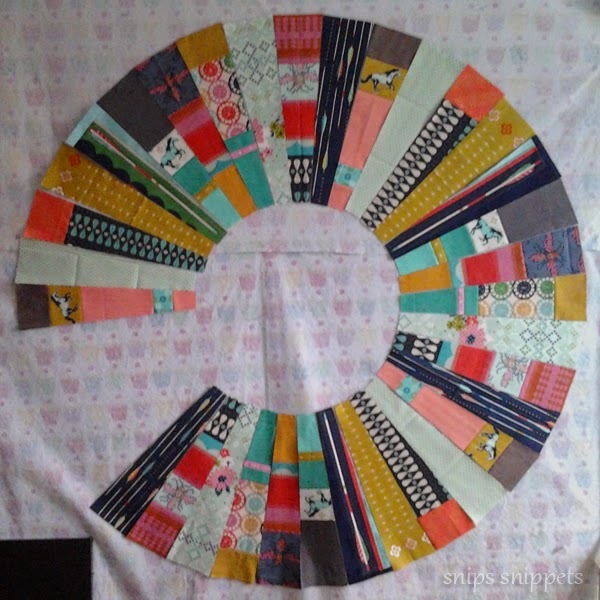 I used up a lot of the little left over scraps to improv piece a strip for the top of the quilt. 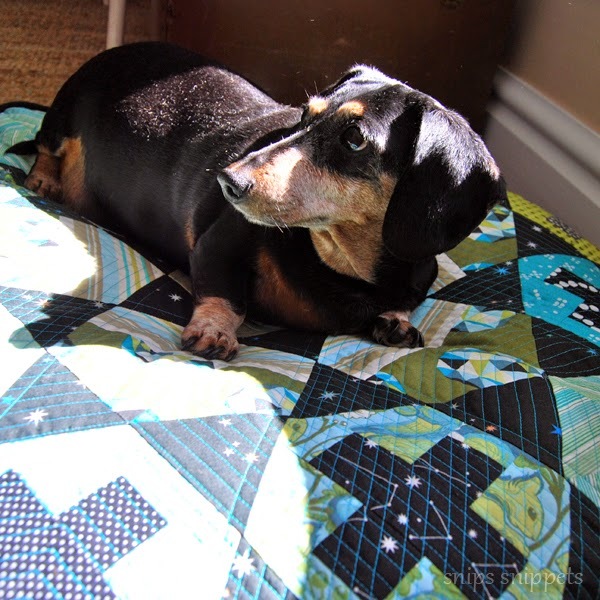 I knew i wanted the giant Dresden to be the center of attention so i had planned from the beginning to bind it in the same fabric i used to applique the Dresden onto. 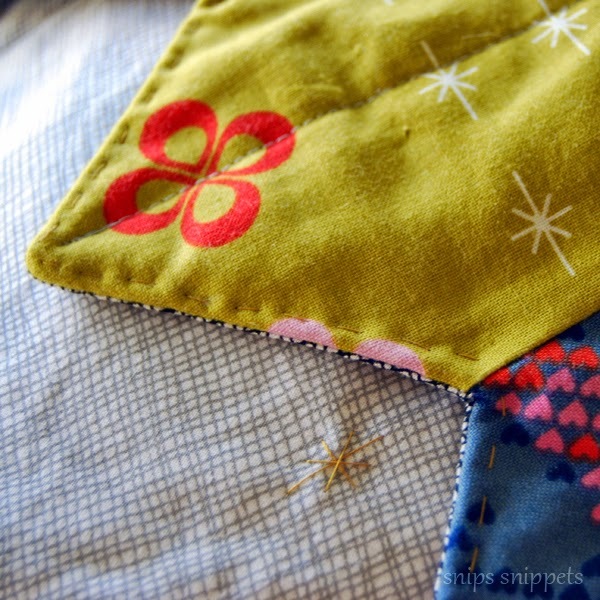 So i thought a splash of colour along the top of the quilt would be needed! 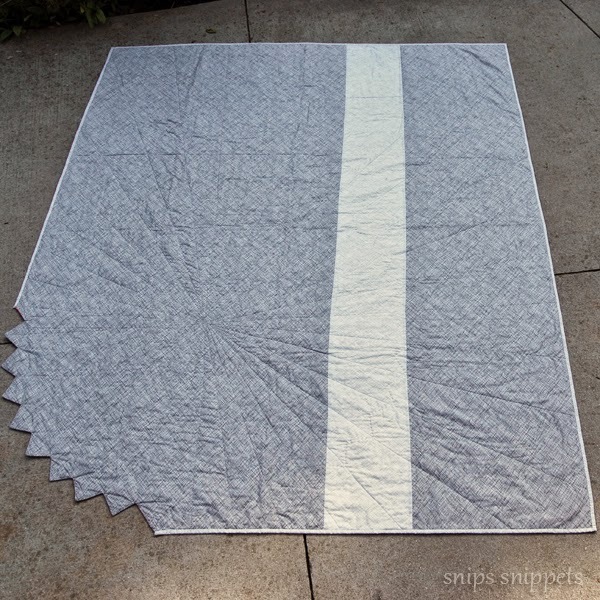 The giant Dresden measures almost 50" across from point to point and i absolutely love the effect of having the one edge scalloped. Basting it was slightly more difficult than a regular quilt due to the scalloped edge, which was sewn right sides together then turned right side out before basting. But not hard enough that i wouldn't do it again! I made thirty six wedges, and tried my best with the fabric i had, to make three of each wedge. I also used the grey for skinny binding. I cut the binding at only 2" and machine stitched it to the front and hand stitched it to the back. 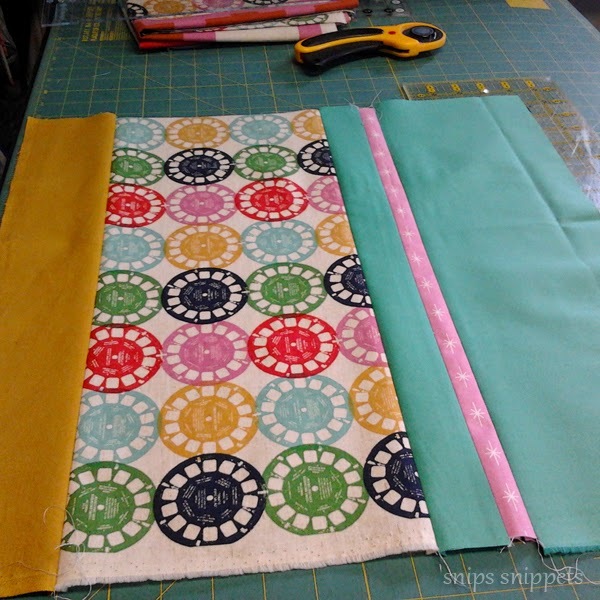 In an effort to keep this one soft and drapey i minimized the machine quilting and used the dresden wedges to guide where all my quilting lines went. 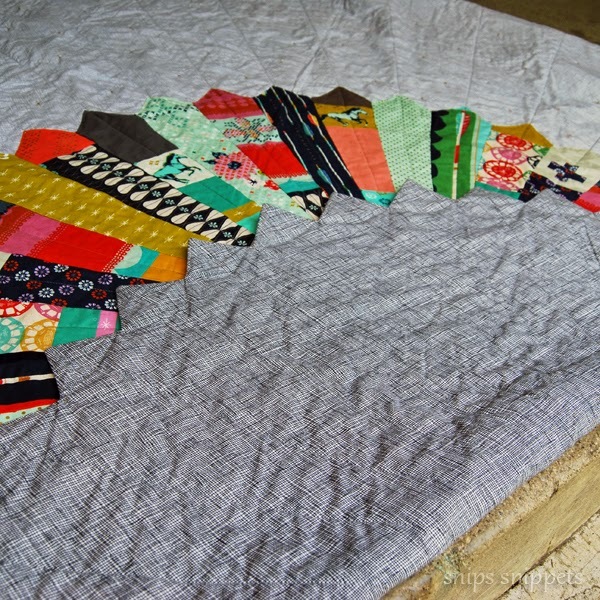 I just did simple lines with Aurifil #2606 Mist through the centers of all the wedges from point to point and continued on in a straight line to the edge of the quilt. 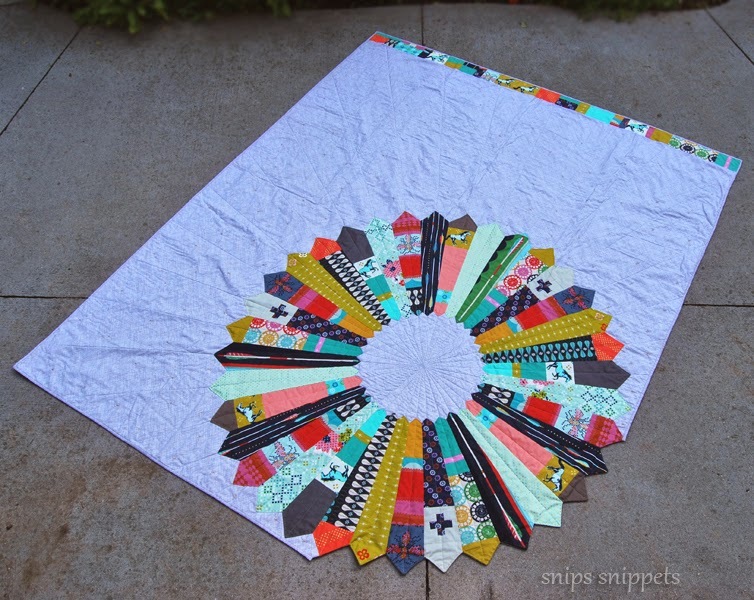 It creates a fantastic crossing of lines in the center! Where the lines reach the outer edges the quilt they were too far apart for my batting so i made the decision to do some hand quilting. 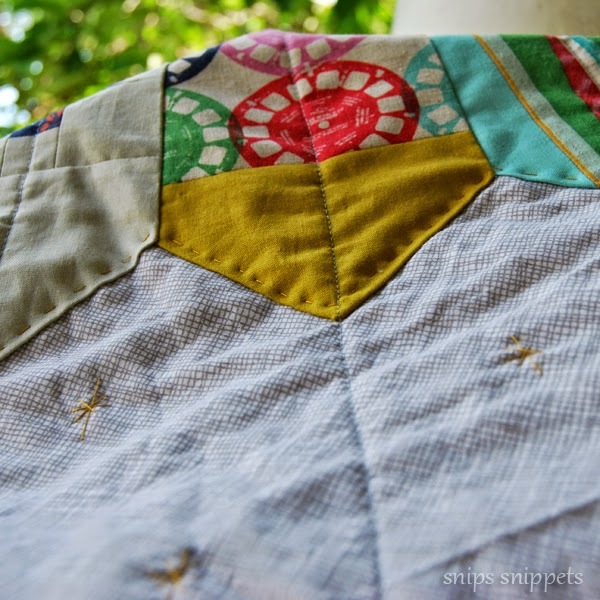 I love the little vintage pyrex looking starbursts on some of the Mustang prints and decided that they would be perfect to quilt all over the grey area of the quilt. 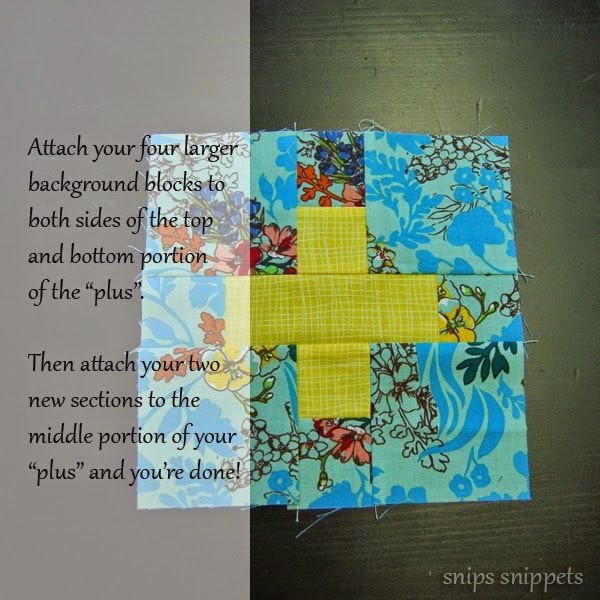 I used Aurifil #2975 Brass, (surprise surprise!) for them and also for the simple stitches around the inner and outer edge of the whole Dresden. 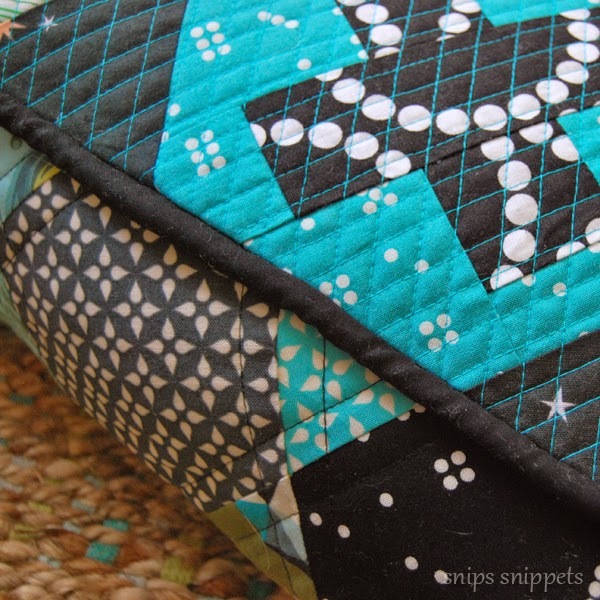 The perfect amount of hand quilting! 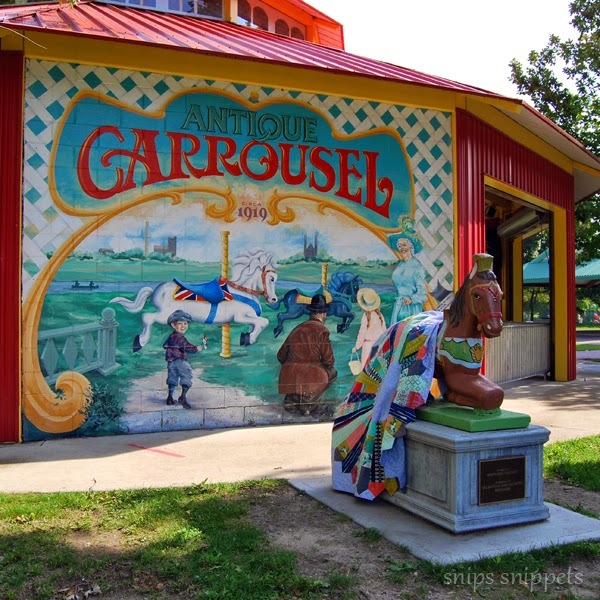 Pattern - Carrousel by me! Finished size - 64" x 80"
Fabrics - Star Dresden is all Mellody Miller Mustang, and Ruby Star Polka Dot and a selection of RJR Cotton Supreme Solids. Front, backing and binding all Carolyn Friedlander Widescreens in grey and black. 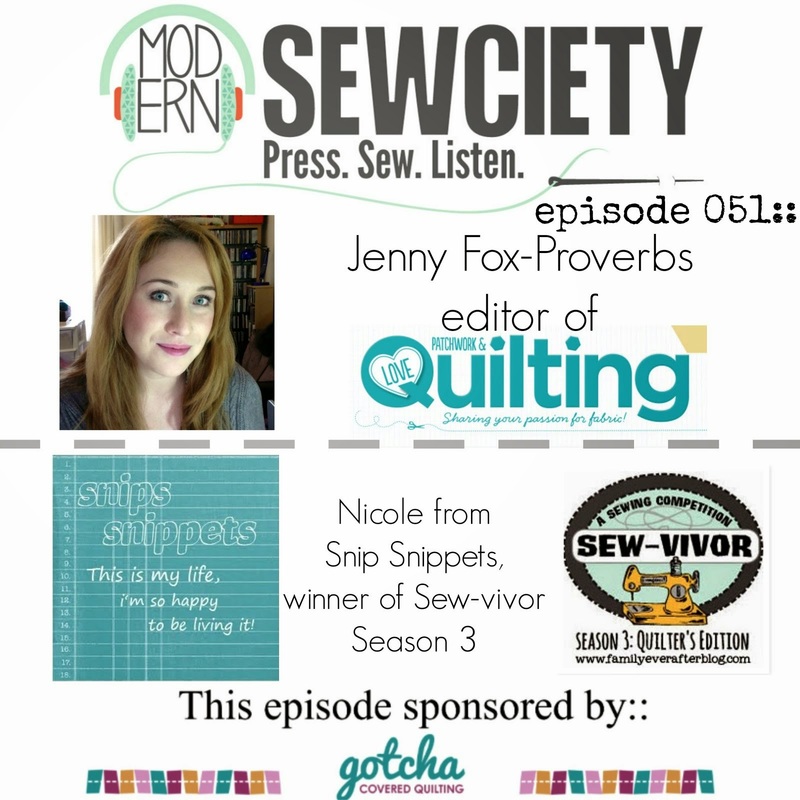 High fives for a super fun quilt finish, and high fives to all of my Sewvivor friends! It's been a blast! Voting is now over and the wait is on, Monday cannot come soon enough!! Be sure to visit Rach on Monday to see who the winner is! 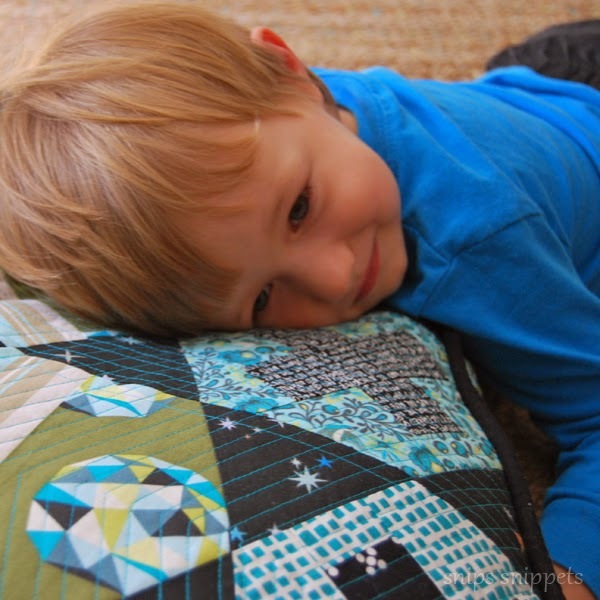 And because it's been way too long i'll be linking up over at crazy mom quilts for finish it up Friday! Thank you so much to everyone who's cheered me on this round and from the beginning, and for all your words of encouragement! I'm so excited to still be here and be able to share with you all my entry for round three! 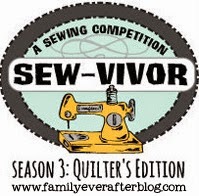 I decided for this round of Sewvivor, the hexie challenge, i wanted to make something for our home. 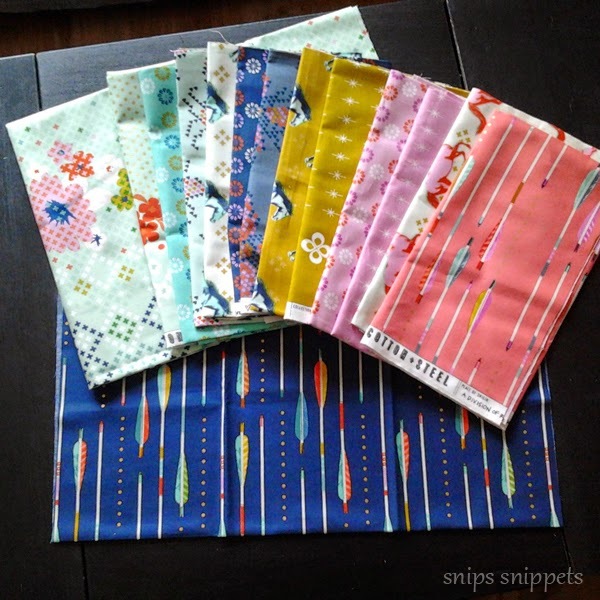 I'd made a mini quilt for round one, then the bag for round two and with a lap quilt being the final challenge (fingers crossed i make it) i wanted to make something new. Something that we would use regularly. Something like a giant floor cushion? Perfect! 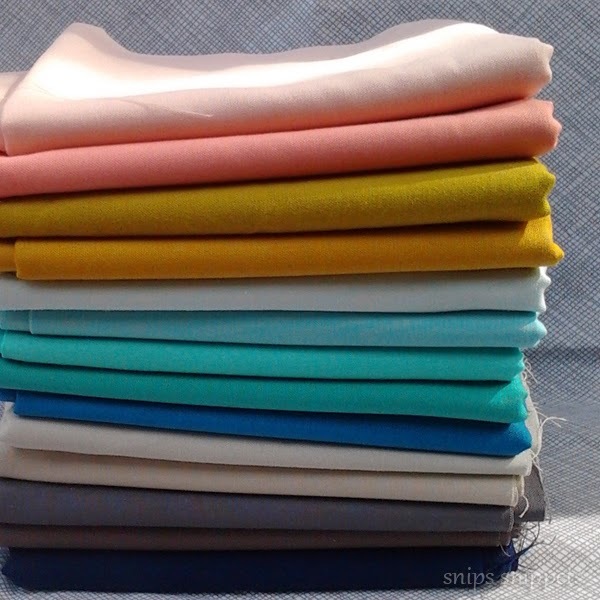 Once again i found myself pulling stack after stack of fabrics wondering what direction to go in (there was talk of a rainbow and Unikitty from the Lego Movie, but in a testosterone filled house there really isn't a lot of room for rainbows and unicornkitties!) So in a brief moment of insanity i pulled out my highly coveted half yard of Melody Miller typewriters that i've been hoarding and sized it up with my Hex N More ruler. 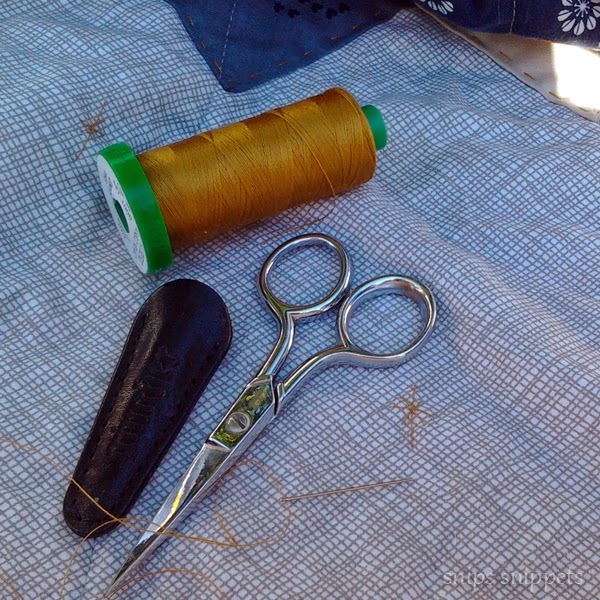 I could perfectly get a 6.5" hexie out of it, but do i dare cut into such precious fabric?! Oh i did! 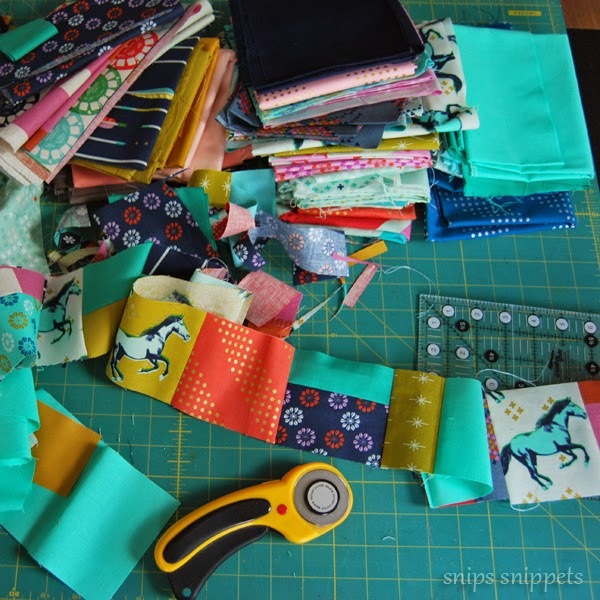 And so it began, cutting into some of my most treasured bits of fabrics, after all this was something that was going to stay in my living room, why not use all my favorite fabrics! 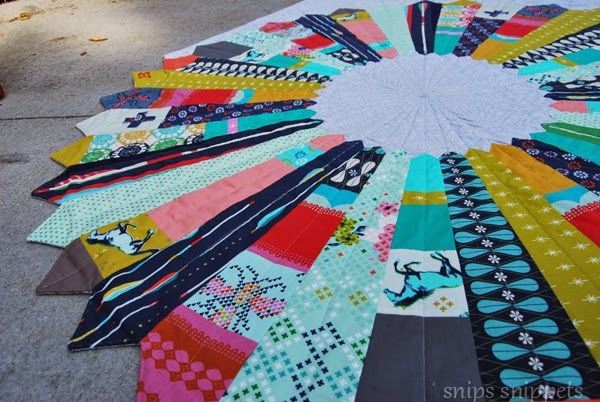 And while we chop with reckless abandon, lets mix things up a bit and make some + hexies and some kaleidoscope ones as well! 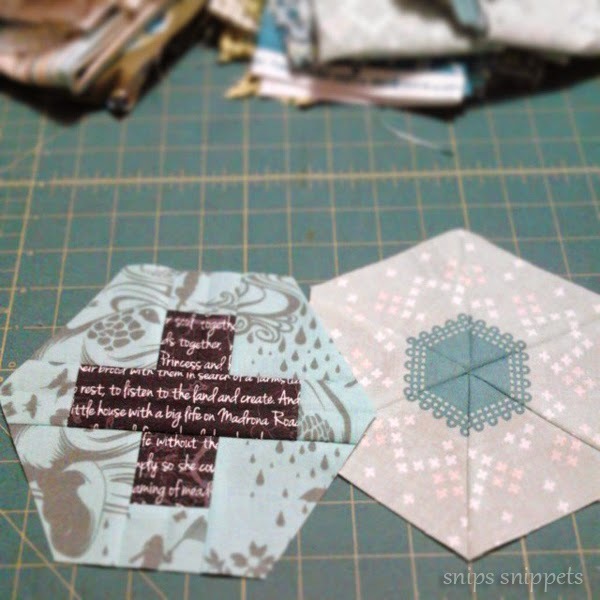 I love the way the + hexies turned out and will be posting a little tutorial for them, super easy to make! Tutorial can be found here!! 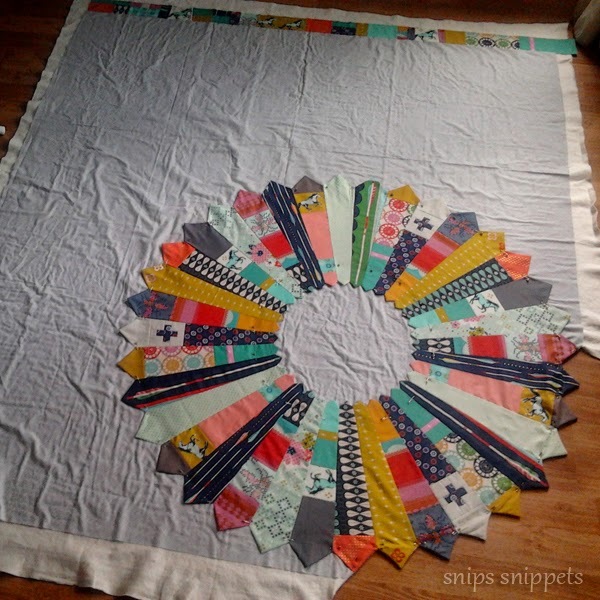 I wanted the quilting on this to hold up to the two little boys that will no doubt be jumping all over it so i wanted it somewhat dense. 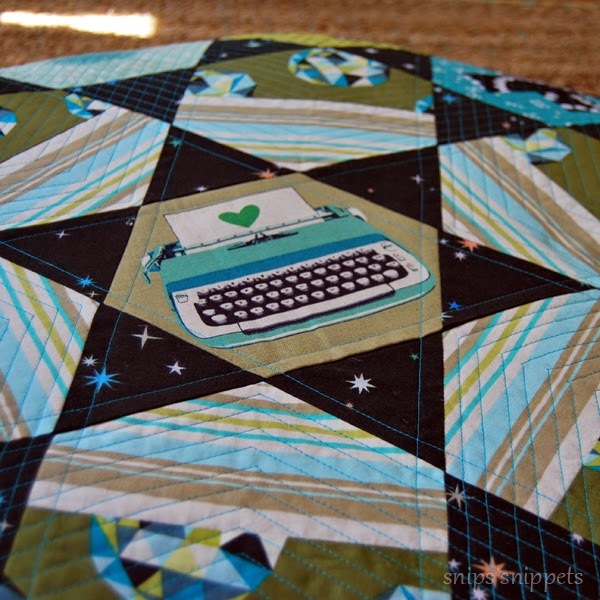 That being said i just didn't have the heart to quilt all over the little typewriter, (does anyone else have this problem?) So i've echoed the star/typewriter block and for the rest i stitched about a quarter inch apart in a v formation with Aurifil in turquoise (#2810). 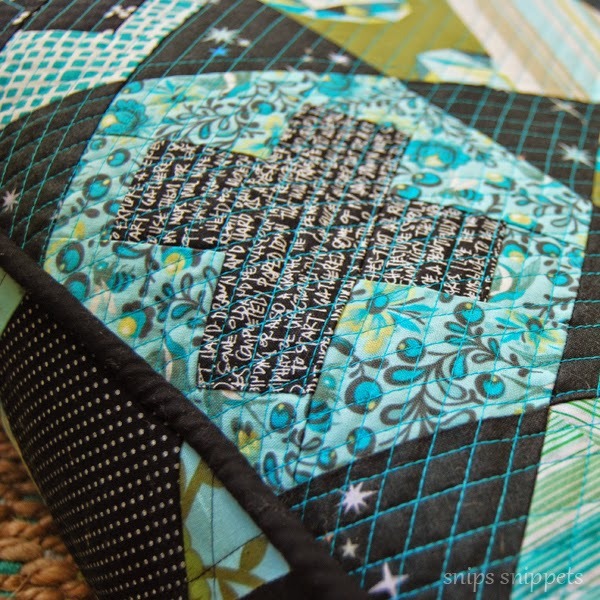 I love the lattice effect that happens when two sections of the v cross and the turquoise Aurifil looks amazing against the black fabrics! 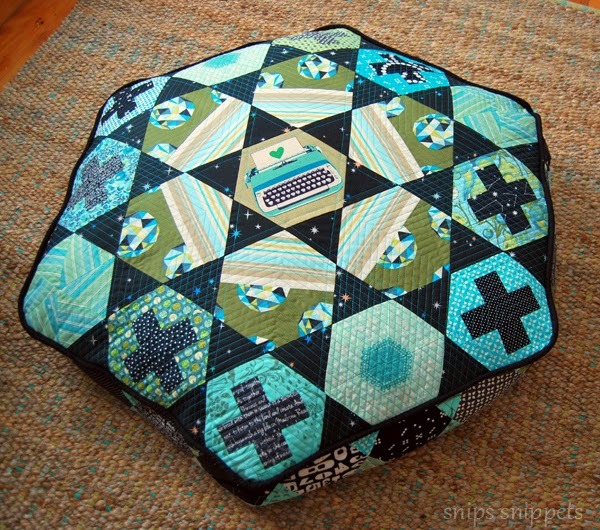 The sides of the cushion were pieced with slightly smaller hexies, 4.5" and i kept the quilting fairly minimal. Just a quarterish inch from the seam on both sides of each diagonal with Aurifil in black (#2692). Makes a fantastic little x pattern all the way around! 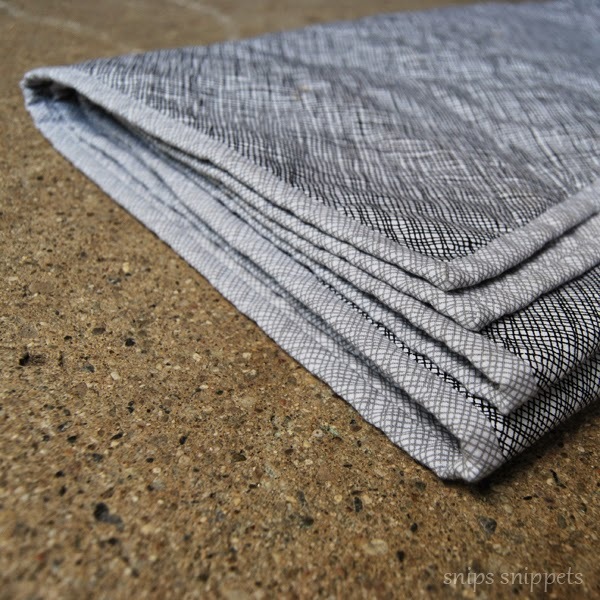 I've tried my best to use only stash and things i have on hand for all of my Sewvivor projects, so when it came time to find something for the back of this cushion i immediately thought of this Parson Gray print that i had picked up last year. I had hoped to back a quilt in it but when i got it it was a little more green than the cream i thought it was online. So it's been sitting in my stash just waiting to be used. I kept the closure simple and went with an envelope style and it works perfectly! 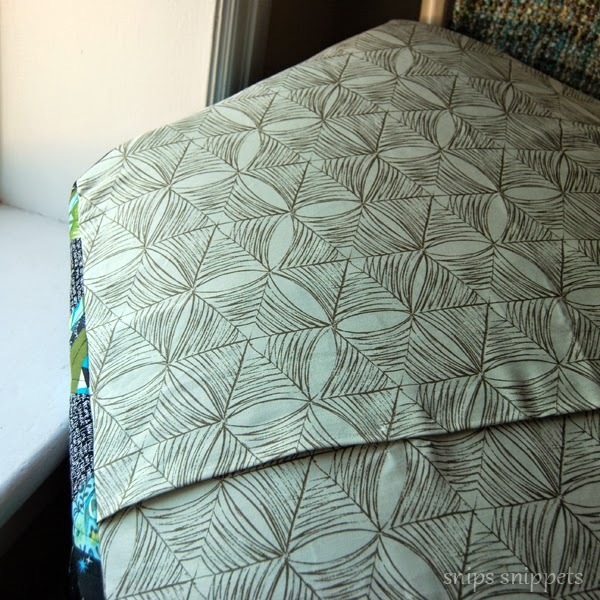 In my life pre-quilter i always slept under a down duvet, but now that i have experienced sleeping with a quilt i'll never go back. So what to do with the old duvets? Well i used one to stuff this cushion with, and let me tell you, while i no longer enjoy sleeping under one... it is so supremely comfy to sit on! Shorty agrees! 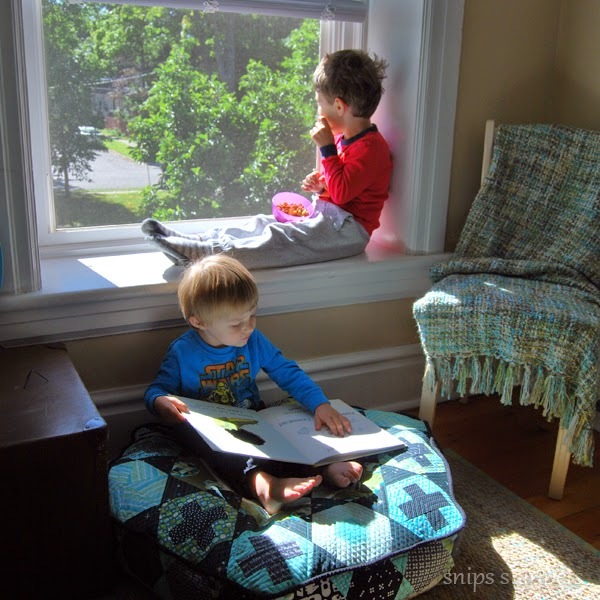 It is the perfect size for sitting back and reading a book! High fives to all the girls this round and good luck! Make sure you stop on over to Rach's to check out the rest of the competition and if you feel so inclined i would absolutely love your vote! I have a killer idea for the final round so fingers crossed i make it through! I also have a little interview with Ange from Gnome Angel over on her blog, lots of fun so be sure to pop over and check it out! Just click here!